she sat there among the velvet red petals. around her lay a languorous quiet. he had left, angry and frustrated; furious with her… with the night. with himself. and she’d come down to their room, to the bed bedecked for love where a hundred doubts in the head had taken away everything her heart was sure of. she reached for a petal, such knowledge in its seamless velvet. what does a rose know that makes it so unafraid of death? so eager to live and be beautiful even if for a few short hours? strange thoughts wandered through her. there was a pain rising. deep in the pit of her stomach, searing; it surged through her heart. and she heard again. in the midst of the mayhem, the breaking of furniture, the kerosene splashed violently, the fire being lit, the hoisting into strong impetuous arms, the crazy spin of pheras, in all the tumult of emotions, their voices rising, in all of that so much had been said, yet now only one thing remained. words that refused to leave with him; that clung to her thoughts. jo tum mehsoos karti ho… jo main mehsoos karta hoon… what you feel… what i feel… her heart beat recorded the words, it hastened, it slowed. a frown gathered on her forehead. that i love you, dammit! and he’d shot back, on that terrace where love was to have come one night but instead betrayal had usurped the hour. standing there, facing his wife, his patni, he claimed his moment back without knowing he was; he told her the one thing that had meaning. that had matter. that had koi matlab. and that didn’t give a damn for any evidence, any witness, any proof of innocence, anything. it just was. and that’s all that mattered. her eyes felt a sudden moistness. she knew how hard it must have been for him to say those words. how hard to just walk away after saying them. she’d seen the gleam in his eyes when he gave her the gift and commanded her to go get changed. is that any way to treat your “patni,” she’d pouted at him, and left. when she saw the beautiful red lehenga glimmering with star like sequins, simple yet sensuous, classic but not usual, her heart had felt a tumble. this was chosen by him, by him for her, it had sung. she felt precious, beautiful. and she felt the touch of his desire. that night in the guest house, his hand on her cheek wandering, meandering still in her subconscious, that feel… yes, something of that touch here, right here. it was a delicate heady feeling. she hugged it close as she stood before the mirror holding the soft folds of red against her heart for just a little while before beginning to slip into the clothes. she was surprised, there was no dupatta. her brow puckered. surely, he knew she couldn’t wear such an alluring blouse without her… then she realised. a little smiled peeped out unbidden. he was playing with her. a thrill in her at the thought. yet at once too, an uncanny fear; descended out of nowhere. what should she do? oh, she was so unsure of all of this. outside, when she peeped hesitantly from behind the wardrobe and he turned, the look in his eyes made her knees buckle. how could a man have so much love in his eyes? was this her rakshas, her laad governor. but the fear had a stronger hold than the melting things in her. he came to her; in wonder, in gratitude almost it seemed, and led her ever so tenderly by her hand into the room. that’s when her eyes fell upon the flowers. virginal white, deep passionate red, fragrance of innocence and knowing mingling in the air, tuberoses and roses across their bed, breathtaking. suhag raat. he had planned suhag raat. “tum kitni intelligent ho,” he’d teased her after asking her to name all the wedding rituals, “peechhe se shuru kartein hain.” we’ll do them all he’d promised, only we’ll do them in reverse order. and he’d meant it! she’d almost started smiling, but then felt the tremors assail her breath again. unknown fear. she remembered the moments as she played with the flowers, just sitting there, waiting. waiting for what though? he’d left in extreme anger, and when he did that, it usually meant a long drive in the dark. in seclusion, in his hermetic suv, away from all. a breeze rustled in the night, rippling the water in the pool, lifting and entering the room, rustling the petals. a night came unasked into the room and took her in its arms. a dark, riven night, shredded by suspicion, accusation, and an unthinkable ultimatum. tum mujhse shadi karogi. abhi. issi waqt. nahi toh… you will marry me now, or else your sister’s wedding will not go ahead. yet again. there was clear naked hatred in a voice. no mercy in the hands that dragged her up the steps of a temple. no tenderness as they went around her neck and tied a mangalsutra, and smeared a streak of sindoor down the parting of her hair. the winds howled, bells rang raging, the world spun around as dreams died; and yet agni stood witness, alongside god, and the mantras chanted their benevolence, their blessing. there was no stopping the night. her hand went up and touched her mangalsutra. black beads strung on pure, lustrous, unimpeachable 24 carat gold… sign of marriage. hamesha. she’d asked him that night if he understood the meaning of this necklace, and the streak of vermilion he’d hurled at her with not a word of explanation or love. why? she asked herself this tonight, why are you wearing this thread of eternal tie? why could you never take it off? why did you wear it that day? do you understand its …? some answers come to you even before the question is asked. this one rushed in from somewhere just above the place where breath comes from. she knew why she had agreed to go to that temple that night. and why he had insisted on marriage, though a contract, but marriage, nonetheless. he hadn’t asked her to leave the city, or tried to buy her off. he could have done that. especially, since he believed she could stoop that low. he had dragged her to him, to him alone. in all the anger, the destruction, the bitterness, the shattering of hope, of trust. he had adhered, not thrown asunder. and she had let him. would he have done that if she were another woman? or she have gone along if he were another man? she shuddered at the mere thought. and she felt his touch, his featherlight murmur on the nape of her neck. a shiver in her breath, a tautening across her body. 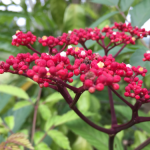 heady scent of flowers. she picked up a rose petal and felt a strange calm certainty. at last. at last she lifted her gaze and looked at radha in the embrace of her eternal partner, krishna. at last she understood. when he returned, the room was empty. he’d thought, as usual, moving through the night. he’d managed to see why she was not ready. 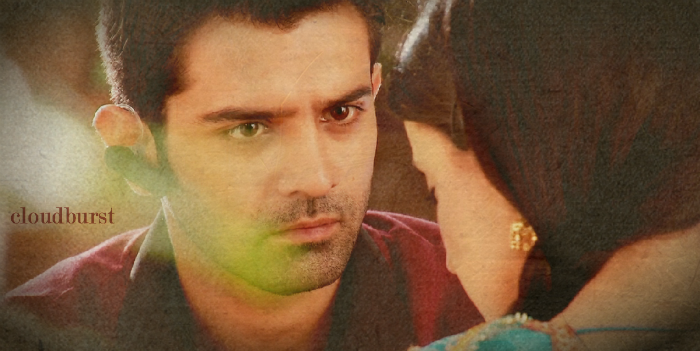 he couldn’t bear to see even a shred of distrust or fear in her eyes. never again. he’d do whatever it took to make her feel whole, complete, loved, and in the way she wanted. he knew what her dream wedding was, he’d heard her telling her friends that story made of lies of her perfect wedding, it shall be hers, it shall be true. that i love you dammit. she’d hidden from him the sudden thrill his fingers on her bare earlobe had evoked, when he placed the diaphanous veil on her head. she sighed and closed her eyes. he ran outside looking for her. and there she lay by the pool, on the chair where so much had happened; mud in her eyes, her dhadkane racing, payal on her shyly extended ankle… she opened her eyes. he wanted to say so much, yet there he stood. unable to form the words. she walked up to him. he couldn’t bear the pain. he closed his eyes. she stepped right up to him and gently placed her lips on his. without volition his arms reached out and went around her. and she held him to her, her arms stretching out, her back arching, pulling him closer. her dearest one, her arnav ji, her husband. he held her lips in the sweetest kiss. but then her hand moved and took hold of his, only to guide it gently to her heart. she had no other way of telling him what she wanted to. she was his wife, his patni, and she wanted to be his. that was all. he lifted her in his arms as he had done so many times before, and brought her to that bed he’d set up with such anticipation; out of all things, a suitcase, packed with a whole suhag raat. the innocence of rajanigandha wrapped around the seduction of the rose. he laid her gently among the flowers once more, and as he made to move away, she drew him down with lissome longing arms. no need to close the door, let the poolside watch, let the wind blow, let’s just make love. say nothing, just love me. but how did you know, asked his dhadkan. bas, pata chal jaata hai… sometimes, like those luscious, openly sensual petals, you just know, said hers. 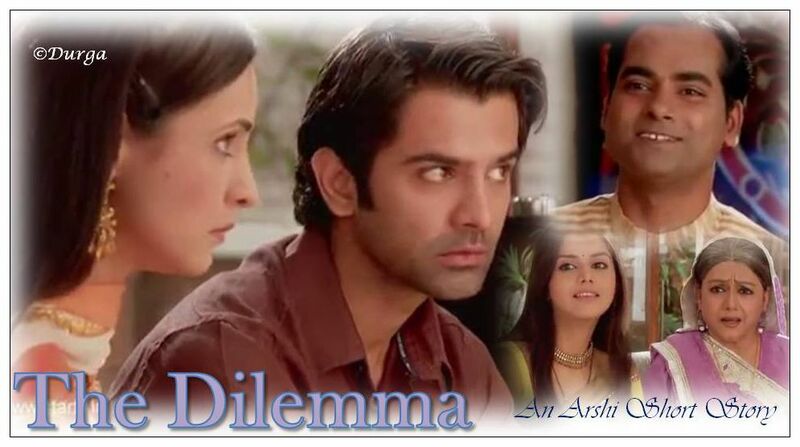 for asr and khushi, for they knew the heart and soul and sinew of love. 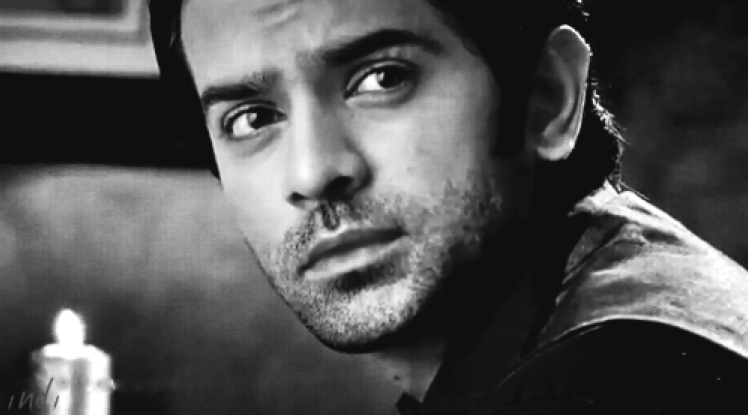 wrote this story a while back… it’s but of course dedicated to asr and khushi and i wrote it on valentine’s day 2013. i have long felt that the suhag raat scene, one of my favourites, was unfair to a true man, a magnificent man in love. and also his woman. it deserved another story. this one maybe? hope you enjoyed. and here’s to pyaar, why bother to give it a name. please do leave your comments and do check back later if time permits, i try and reply to everyone. And the first thing I want to say is… Finally! (throwing my arms up in the air for dramatic emphasis)… Finally someone focused on the one point that I have always felt was so important about the forced marriage… Arnav could have dealt with Khushi’s supposed affair with the creep in any number of ways… As your Khushi rightly thinks ( woh kitni intelligent hai…) Arnav could have bought her off, asked her to leave the city, forced her to marry NK for that matter and parceled her off to Australia… He didn’t do any of those things, instead he married her… fine! for six months and unknowingly gave her protection from the creep. So whether he says the words or not… the actions are speaking loud and clear… admittedly at times they speak a foreign language. So thank you for giving Khushi this realization. A friend recently said, that sometimes words draw such a beautiful and intriguing image that they are almost distracting… Because you find yourself searching for that fragrance, or you want to experience that sensation or you want to be in that moment. Your words do that I feel. Maybe I do get distracted… coz I tend to linger on some words… but I like that feeling. So I thank you for writing A & K stories… and I hope you keep getting inspiration and keep writing more. about that one point… yeah, i write long takes on every episode and it’s been great pondering that point. he could have done anything, he needn’t have married her. equally, would she have married him if it were some other guy? yes, sister’s marriage and all that but would she have gone along with any other guy to a temple? all along it was that tempestuous, burgeoning feeling within… it set the direction, otherwise, yeah, madam might have been in australia by now or anywhere… instead of throwing her out of his life, the guy who had just started feeling that wondrous faraq and smiled looking at his ladki and flirted and played perhaps for the very first time in his life in that state of emotion… he just caught her and dragged her to him… unable to let her go. he thought it was because he hated her. because any other explanation at that moment was perhaps not possible. beautiful really the flashbacks that come to him as he broke down on the road…. all of him and her feeling that thing, lovely gorgeous play of attraction. had he not given a damn for her sentiments, there’d have been no need for mandir, mangalsutra, sindoor… he’s have simply commanded her to put on those signs of marriage herself. no, he had to take her to a temple. he had to put those things on her himself. he had to hold her shivering hands and walk in with her as husband and wife. did i tell you i love their wedding and never ever could accept the remarriage, especially the way it was worked into story… though yeah, some fabulous things in it, including the farmhouse.